Your iPhone won't connect to the network after iOS update and you don’t know why. There are a lot of maybes when it comes to diagnosing and solving this problem. In this article, I’ll introduce you some good ways to fix the problem, whether it’s with your iPhone or your wireless router. Tap Settings > Wi-Fi and make sure Wi-Fi is turned on. Tap the name of your Wi-Fi network to join. A blue checkmark beside a network name means you're connected. Or get help if you can't turn on Wi-Fi. If prompted, enter the password for your Wi-Fi network. Learn what to do if you don’t know your password. 4.Check all of your cables and connections. For more help, try restarting your device, router, or cable/DSL modem. After each step, check to see if you fixed the issue. • Restart your iOS device. • Unplug your router and plug it back in. • Unplug your cable or DSL modem and plug it back in. 1) If someone else set up your network, ask them for help. If you’re using a network at a company, school, hotel, store, or other free Wi-Fi location, find an employee for assistance. 2) If you're connected to a Wi-Fi network but you can’t get online, try to use your Wi-Fi network on other devices. If you can’t get online using your other devices, there might be a service outage. Call your cable company or internet provider for help. 3) Try connecting to a Wi-Fi network in a different location. If your device can connect, you’ll need to get help with your Wi-Fi network. If it can’t connect to any Wi-Fi networks, contact Apple. 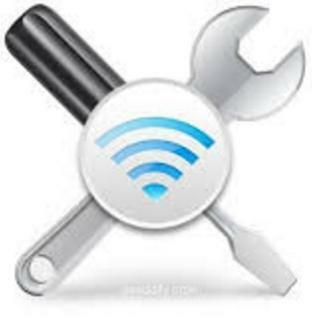 4) Update your Wi-Fi router with the latest firmware and make sure the router supports your Apple product. For more information, contact the manufacturer of your router. Hope one of the ways can help you fix the iPhone won't Connect to the wifi problem.